I hired a few movers to help me relocate to my new house. We negotiated the price over the phone, we came to a common agreement and they showed up to pick up my stuff. As soon as they got all of my stuff into the truck, they were adamant that we renegotiate the price. They kept arguing about how they expected me to pay them more because they had to travel to my house on a sunny day. Long story short, it was a horrible experience. It ended with them taking the stuff over to my new place, throwing them out of the truck and then driving away with the money while they flipped me the bird. To avoid others from having a similar experience, Just Lorry intends to be the middleman that handles all of the negotiations between customers and logistics service providers. Just Lorry is a new startup that’s trying to help you stress less by easing the process and by reducing the time it usually takes for you to book a lorry. They provide a platform which customers can use to provide information pertaining to where they are currently located and where they’d like to move out to. Based on that information they can then select the type of lorry that they need to get the job done. If that doesn’t suffice, they also insist that customers send them images or videos of their items and the team at Just Lorry will assist them with free consultation. 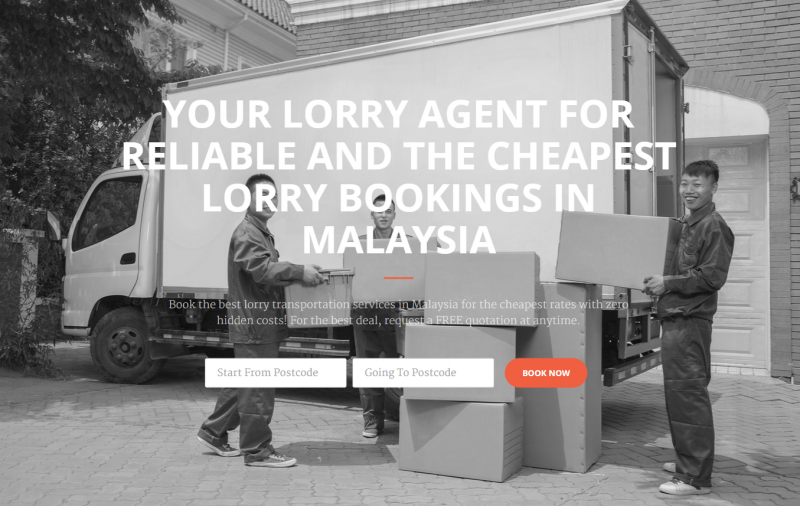 While this concept is not entirely new in the Malaysian market—in fact, Vulcan Post has reviewed another startup called TheLorry.com and they are still gaining traction in the logistics industry by focusing on these key principles. 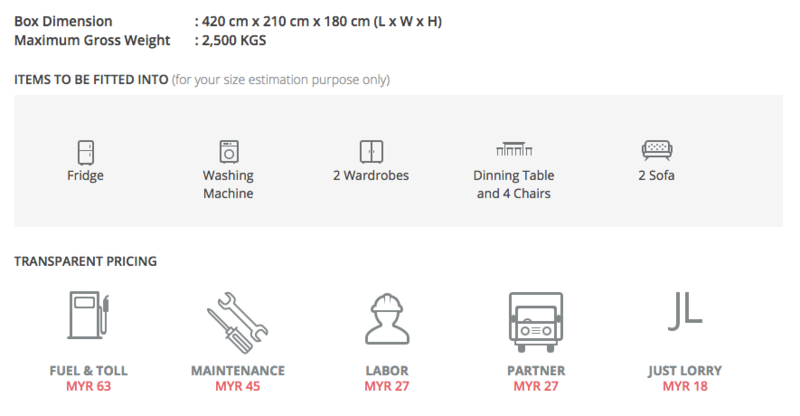 As a customer, I need to know what I’m paying for and I need to have a clear understanding of all the terms and conditions before the movers show up to my place. And that’s something that Just Lorry is putting into practice through their platform. When you choose a particular truck, their system will provide you with enough information to show you exactly where your money is going. “It helps users to better understand the operation costs and be confident with our prices,” they said. They will break down the amount of money that you have to pay into categories like fuel & toll, maintenance, labor, partner and the amount of money that Just Lorry gets from the cut. They also mentioned that the lorry drivers won’t be assisting in helping you move your things; however, if you need help, you can book and pay for additional manpower right from the platform. 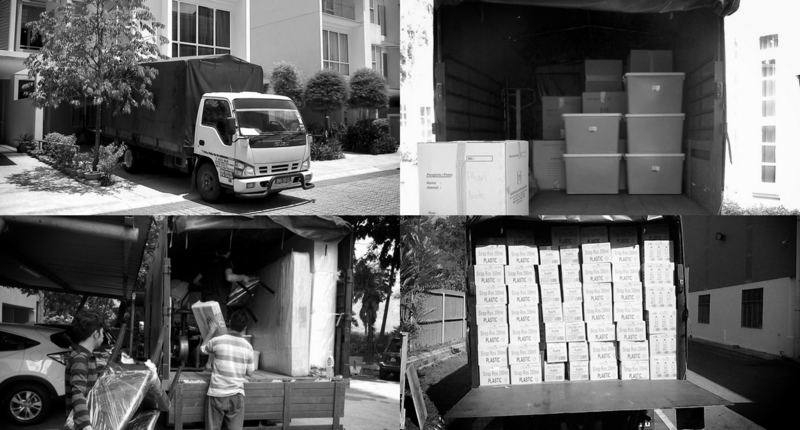 Along with transparency, Just Lorry also conducts background checks on each of their partners to ensure that you don’t experience any discomfort when you’re dealing with the movers. They start off with a phone interview with a potential partner and once they have an understanding of the services and the type of trucks that they offer, they then arrange a visit to their premises and also verify the company’s registration with the local authority. Just Lorry takes on the burden of conducting background checks to ensure that both the proper legal standards and service standards are followed. From time to time, they will also review each partner based on feedback provided by the customer. 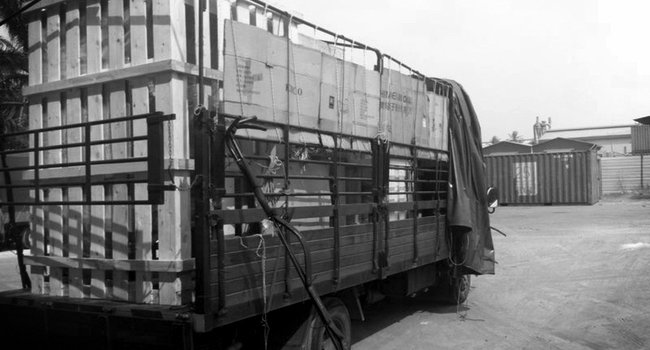 So you can be assured that if you encounter any issues with your mover, Just Lorry will take proper corrective measures to correct the issue. Given that Just Lorry is much newer than TheLorry.com, they need to make sure they build alliances to gain traction. Just Lorry is focusing on building partnerships by meeting their every need and by helping them connect to a larger base of customers. “Our promise to our partners is to bring them more sales and work together as a team. We believe its very important to us a startup,” they said. Apart from partnering with logistic service providers, they are also currently negotiating with insurance companies to insure the basic amount of every job. In fact, they have partnered with over 50 different entities since they began 3 months ago and they’ve managed to serve over 70 customers across Malaysia. Given that TheLorry.com set the precedent for such platforms in Malaysia, it only makes sense that we compare both servics. For starters, TheLorry.com offers more services than Just Lorry. They offer standard, express and disposal services. They mostly cater to businesses as opposed to Just Lorry. On the other hand, I feel Just Lorry primarily caters to domestic customers who have comparatively a different set of needs. Given that they primarily target domestic requests, they’d have to provide a more personalised experience to their users. They also need to be able to advise the customers on key issues and intervene in cases of misunderstanding, especially when customers request something completely different from what they requested before. Just Lorry address these issues by communicating with the customer throughout the journey and they even provide free consultation to help the customer decide the appropriate truck that’s required for the job. In terms of the UI/UX of both platforms, I’d have to say that Just Lorry offers a much simpler approach of making a booking by not providing countless number of options like TheLorry.com—such options would be more suitable for businesses rather than individuals. When the need for a lorry arises, I recommend that you check the quotations provided by both the platforms and then make an informed decision based on your needs, budget and requirements as both service, although similar, prioritise different consumer groups.